Ensemble Travel Group today announced several staff changes to its business development team in the U.S. 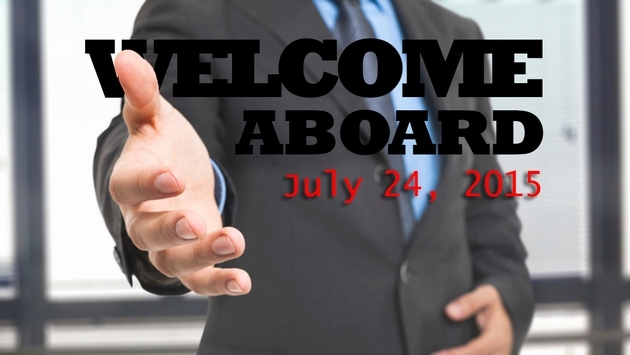 Joining the organization in key member retention and acquisition roles are Jane Hershey, a 25+-year travel veteran, who will be based out of Nashville; and Ron Bentley, a 20+-industry veteran, who will be based out of San Diego. Business Development Director Ellen Harris, CTC, is retiring at the end of July after nearly 45 years in the industry, the last nine with Ensemble. Hershey’s diverse travel career spans frontline and management positions at the agency, consortia, and supplier level. Her business development experience includes three years with TRAVELSAVERS and nine years with Travel Leaders, where she helped both organizations achieve major growth and profit while consistently drawing high satisfaction ratings from her accounts. In the supplier ranks, Hershey worked as a regional business manager for Rocky Mountaineer where she managed a 26-state territory. Her most recent position was in business travel, working as an account manager for Corporate Travel Management primarily servicing the Vanderbilt University and Medical Center community. Bentley’s extensive travel career has been primarily in the agency and consortia arenas, starting out at Cruise Holidays International as director of franchise support and development where he served as a key member of the franchisor’s management team. He also served eight years as regional sales manager, western U.S. for Vacation.com, leading numerous marketing and sales initiatives that resulted in sustained growth levels for the consortium, with particular success at helping members increase their sales of preferred suppliers. In addition, Bentley’s background includes a position at Worldview Travel where he served as director of business development, primarily on the corporate side. Rounding out the U.S. Business development team are Julia Block, who is based out of Florida, and Arleen Rios and Danielle Dahdan, both based in New York. FRHI Hotels & Resorts promotes Frank Naboulsi to the role of regional vice president, Egypt and general manager, Fairmont Nile City. Naboulsi brings over 30 years of hospitality experience to this position with over 25 years of experience at Fairmont Hotels & Resorts worldwide. Over the course of his career, Naboulsi has held numerous general manager positions including stints at Fairmont Dallas, Fairmont Palliser and Delta Calgary Airport Hotel. FRHI Hotels & Resorts appoints Michael Moecking as regional vice president, Western Europe and general manager of Swissôtel Berlin. Moecking brings 30 years of upscale international hospitality experience to this role, working with large brands including Kempinski and InterContinental. Moecking has been with FRHI for the last 10 years, spending six years as general manager of Swissôtel Berlin and most recently, four years as general manager at Fairmont Dubai. Jimmy Kam joins Swissôtel Foshan as general manager. Kam brings over 20 years of hospitality experience to this position, most recently joining the property from Wanda Vista Dongguan & Wanda Realm Guangzhou Zengcheng as director of sales & marketing. Over the span of his career, Kam has held progressive positions at leading hospitality brands throughout China. 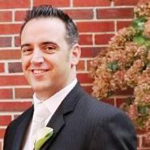 Fairmont Pittsburgh welcomes Simon Boden as director of sales & marketing. Boden brings 16 years of management experience to this position, joining the company in 1999 at the Hamilton Princess & Beach Club as a sales manager, business travel. Boden later transferred to Fairmont Orchid as director of revenue management. 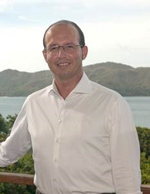 Most recently, Boden held the position of director, sales & revenue, Fairmont Southampton. Victoria Dyson joins Fairmont Olympic Hotel, Seattle as director of sales & marketing. Dyson brings over 25 years of sales and marketing experience to this position, beginning her career in 1990 with The Delta Lodge at Kananaskis, Alberta where she held several progressive positions. Dyson joined Fairmont Chateau Whistler in 1997 as a sales manager and later transferred to Washington D.C as director, global sales. In 2007, Dyson returned to Fairmont Chateau Whistler as director, group sales, and held that position until 2008 when she was appointed to her most recent position as director, sales & marketing, Fairmont Chateau Whistler. Fairmont Mayakoba welcomes Eric de Maeyer as executive chef. De Maeyer joins the hotel with over 24 years of experience as an executive chef, beginning his career at Club Lounge “Zuider Terras”, Antwerp, Belgium. In 1992 de Maeyer relocated to Mexico as executive chef at Hotel Marquis Reforma in Mexico City. De Maeyer continued to work as executive chef managing multiple F&B outlets at other hotels & resorts throughout Mexico until his most recent position as executive chef at Grand Velas at Riviera Maya. Fairmont Peace Hotel appoints Jeremy Harris as executive chef. Harris joins the team from Marriott where he was most recently the executive chef of the Shanghai Marriott City Centre Hotel. Harris brings 14 years of international experience to this new role, beginning his career in Washington D.C.. In 2011, Harris joined his first property in China as executive chef at Renaissance Shanghai Zhongshan Park Hotel. Beil Wang joins Swissôtel Kunshan as executive chef. Wang has over 20 years of rich culinary experience and joins the property from Swatch Art Peace Hotel Shanghai where he was executive sous chef. Prior to this, Wang was the executive sous chef at the Renaissance Caohejing Shanghai and has held several other sous chef positions at leading brands throughout China. Eventi Hotel, the luxurious Kimpton Hotel located in the heart of Chelsea, is pleased to announce that Julian Miller will now serve as the hotel general manager. As General Manager, Miller will be responsible for overseeing all departments, from financial to operational. Miller will work closely with the General Manager’s at Kimpton’s sister properties in NYC including Ink48, 70 Park Avenue and The Muse. Previously, Miller oversaw daily operations of the front office, facilities, banquets, security and housekeeping departments. Miller was nominated for the Mass Lodging Association's Stephan Porter Emerging Hospitality Leader of the Year Award and continues to enrich the hotel’s reputation for excellent service. Sophie Stabile, a member of AccorHotels' Executive Committee, has been appointed chief executive officer, HotelServices France, effective Oct. 1, 2015. She succeeds Christophe Alaux, who has been appointed chief executive officer, HotelServices North America, Central America and Caribbean. 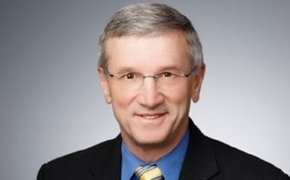 Deputy Chief Executive Officer Sven Boinet will act as interim CEO for France through Sept. 30, 2015. Jean-Jacques Morin joins the hospitality group as chief financial officer and will be a member of the executive committee. His appointment is effective as of Oct. 1, 2015. After beginning her career with Deloitte, Stabile joined AccorHotels in 1999 to head the group's Consolidation and Information System Department. In 2006, she was appointed group controller-general. Stabile has been chief financial officer and a member of AccorHotels' executive committee since 2010 and in 2013, her responsibilities were increased to include management of the group's Procurement Department. Morin began his career at Deloitte where he spent five years in Audit and Consulting in Paris and Montreal. He then spent 13 years in the international high-tech sector, first with Motorola, followed by ON Semiconductor, where he worked on the NASDAQ stock market listing. He went on to work as CFO for the German start-up Communicant AG. He joined Alstom in 2005 and has held the positions of CFO for the Transport sector in Paris and the Power Service sector in Zurich. Jean-Jacques is currently chief financial officer of the Alstom Group. Hyatt Hotels announced the appointment of Michael Jokovich as area vice president and general manager of the award-winning Hyatt Regency Lost Pines Resort & Spa. As area vice president, Jokovich will oversee 11 Hyatt-branded properties throughout the central United States, stretching across Texas and as far north as Minneapolis. His role includes supervising and providing counsel to these hotels, while also managing the operations at the 491-room, Four-Diamond resort destination that is Hyatt Regency Lost Pines. He will continue to report to Jordan Meisner, senior vice president of field operations. Jokovich brings more than three decades of industry experience to his new position, having played leading roles at a mix of destinations from island resorts to downtown hotels. The longtime Hyatt associate began his hospitality career in front desk, housekeeping and room operations. Over the years, he moved up through the ranks, securing appointments as general manager at Hyatt Regency Maui Resort & Spa and also as area vice president in Northern California and now Texas and the central U.S.
Refinery Hotel, the former high-end millinery factory turned industrial-chic luxury hotel located in New York City’s Garment District, announced the appointment of Eric Foley as general manager. A seasoned professional, Eric Foley has more than 15 years of hospitality experience, including eight years at the executive level. Having most recently held the position of assistant general manager at The Row NYC, Foley comes to Refinery Hotel with a vast knowledge of the New York City landscape and traveler. Prior to his time at The Row, Foley spent 10 years of his career with the Denihan Hospitality Group, where he served as an integral of the pre-opening task force at The Surrey Hotel NYC, and later became the director of rooms. Previously, Foley held the position as Guest Service Agent at Affinia Manhattan and Rooms Division Manager at Affinia Chicago. He holds a Bachelor of Science in Hotel, Restaurant, and Institutional Management and an Associate in Science in Hotel Restaurant Management from Johnson & Wales University in Providence, Rhode Island. Jay R. Campbell has been named general manager of the 448-room Hilton Houston Post Oaks located near the Houston Galleria on the beautiful tree-lined Post Oak Boulevard, in Houston, Texas. Campbell brings over 35 years of leadership experience in hotel management, finance and operations. 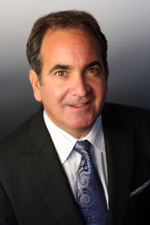 He began in the food and beverage industry in 1979 and worked for Houlihan’s Restaurants and LA Cafes holding several key management positions including vice president of operations. éilan Hotel & Spa, in San Antonio, Texas, a member of Marriott International's exclusive Autograph Collection, has announced the appointment of Doreen Patino as director of sales & marketing. Patino joined éilan Hotel & Spa from Marriott Plaza Hotel San Antonio, where she was director of sales & marketing for the past three years. Previously she held a range of positions at hotel properties across the city, including director of events at Hilton Palacio del Rio Hotel and director of food, beverage, catering & conventions and then director of group sales at The Westin Riverwalk Hotel. 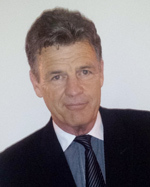 Laucala Island, the luxurious private island resort located in the Fijian Pacific archipelago, is pleased to announce the appointment of Christoph G. Ganster as its new managing director commencing July 2015. Austrian born and veteran of the luxury hospitality industry, Ganster has more than 23 years of experience as an international hotelier, most recently serving the last 11 years with FRHI Hotels & Resorts. Previously, Ganster was general manager in Seychelles, Ukraine and Egypt with Raffles Hotels & Resorts as well as Fairmont Hotels & Resorts. Prior to that he worked in various senior management positions in United Arab Emirates, Caribbean, Maldives, Mauritius, Switzerland, USA and Germany. Most recently he was based in Seychelles as general manager of Raffles Praslin. In addition to his role he was a Member of the Board of the Seychelles Hospitality & Tourism Academy as well as the Seychelles Tourism Board, the Government Body, promoting Seychelles. Ganster graduated from the School of Tourism & Hotel Management Schloss Klessheim, Salzburg, Austria. American Express Global Business Travel (“GBT”) today announced the appointment of Cindy Allen as chief marketing officer. In this role, Allen will oversee the company’s brand positioning, marketing, product marketing and corporate communications and industry relations functions on a global level. Ms. Allen will report to GBT’s chief strategy officer, Steve Curts. Since 2013, Ms. Allen has served as vice president, Travel Management Company (TMC) Services, at Concur, where she was responsible for establishing and growing strong relationships with Concur’s TMC partners, as well as enhancing TMC technology offerings. Allen worked as the chief executive officer and chief operating officer for GDSX for five years until it became part of Concur, leading product diversification, establishing the company as a global brand, and significantly growing annual revenue. Amadeus today announced the appointment of Albert Pozo as the new president of Amadeus Asia Pacific. Albert, who takes office from Aug. 3, 2015, will direct Amadeus’ corporate strategy for Asia Pacific, focusing on distribution and new business areas such as rail, hotel, payments and venture investments. Thompson Hotels proudly announces the seasoned executive team leading the charge at The Cape, a Thompson Hotel. The first Mexico-based property from the luxury lifestyle brand, the 161-room boutique resort recently opened on the shores of Los Cabos’ Monuments Beach on June 26, 2015. Spearheaded by General Manager Eduardo Segura, Director of Sales and Marketing Jorge Villarreal, Director of Food and Beverage Carlos Echaiz, and Spa Director Katia Chavez, the veteran team boasts decades of combined experience in the hospitality industry, a unique understanding of the Baja destination, and an intimate knowledge of the luxury travel sector. A protégé of the late visionary hotelier Edward Steiner, Director of Sales and Marketing Jorge Villarreal helped redefine the concept of luxury accommodations in the Los Cabos market through his work at the Presidente Inter-Continental, as well as the One&Only Palmilla. Villarreal was the opening director of sales and marketing for Mexico and Latin America at the One&Only Palmilla, where he served from 2000 through 2010. A graduate of hotel management from the Universidad Iberoamericana, with a supervised program from Cornell, Villarreal has also held the director of sales and marketing role at Fiesta Americana Grand Coral Beach Cancun and was the corporate director of sales and marketing at the Villa La Estancia Riviera Nayarit in Nuevo Vallarta and Villa La Estancia Los Cabos Resort & Spa, providing him with an overview of the greater Mexican hospitality market. Villarreal returned to Los Cabos in 2015 and now serves as an integral part of the executive team at The Cape. Director of Food and Beverage Carlos Echaiz brings with him a worldly outlook, holding degrees in both hotel and food and beverage management from the Universidad de Chile and having opened luxury dining concepts throughout Latin America and the Caribbean. His early career includes the opening of the first Ritz-Carlton property in South America, The Ritz-Carlton Santiago, the reopening of the InterContinental Santiago in 2006, and the opening of the Rosewood Mayakoba, Riviera Maya in 2007. Trading solid ground for open waters, Echaiz joined Celebrity Cruises to manage the culinary teams aboard the cruise line’s luxury fleet of ships, including the Eclipse, Silhouette, and Reflection. Echaiz additionally spent two years as the director of food and beverage at the Gansevoort Turks and Caicos, rounding out his luxury portfolio. Now at The Cape, Echaiz brings his culinary knowledge to the Baja region, working with local farms and fishermen to showcase the distinct flavors of the destination. After completing her degree in business administration from Universidad de Occidente in 2002, Spa Director Katia Chavez pursued her passion for wellness and hospitality, joining the One&Only Palmilla in 2003, where she met her current colleague, Director of Sales and Marketing Jorge Villarreal. Prior to joining The Cape, Chavez was the spa manager for several Secrets Resort & Spa and Dreams Resort & Spa properties, including Dreams Los Cabos Suites Golf Resort & Spa from 2009 to 2011, the world-class Dreams and Secrets spas by Pevonia in Huatulco from 2011 to 2013, and most recently the Secrets Puerto Los Cabos Golf & Spa Resort. 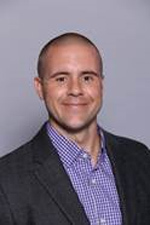 Nick Anderson has been promoted to associate director of sales at the Walt Disney World Swan and Dolphin Hotel. In Anderson’s expanded role, he will now oversee the team responsible for booking small meetings at the hotel as well as handle all accounts in the New York and New Jersey markets. 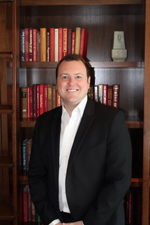 Anderson joined the Walt Disney World Swan and Dolphin in May 2014 as the group sales account director. He previously served some of the world’s largest hotels at the managerial and director levels, with career highlights including pre-opening operations and sales for several major convention hotels in Las Vegas. Anderson is a graduate of Eastern Washington University.